In a world where English is cementing its position as the lingua franca used for international communication, it is issues with pronunciation, and not grammar, that seemingly is to be blamed for the breakdowns in communication. Suggesting that less proficient English users often rely on bottom-up processing when listening, Robin Walker writes with the authority of a practitioner-turned-academic as he convincingly persuades the teacher of English to help their learners to maintain mutual intelligibility by working on phonological features in the Lingua Franca Core (LFC), whilst recommending that we do not waste classroom time on supra-segmental features like the ‘schwa’ and elision or catenation, which native speakers may use to pave the way for rapid speech, but can be detrimental to ELF intelligibility. From the first chapter till the end of the book, Robin peppers the discussion with challenges regarding our assumptions towards the adopting of a native-speaker (NS) target in English language learning. By addressing language variation even within the UK and the US, and the role of accents in expressing one’s identity, he reminds the reader that there is no such thing as ‘good English’, and that the presumption that a standard variety (often seen as prestigious) is suitable for all contexts indicates a failure to comprehend the sociolinguistic reality. Walker illustrates using research findings that our view of what a standard variety is could influence what is socially acceptable to us. A result of socio-cultural conditioning, one’s attitudes towards a particular accent can hugely affect one’s judgments of intelligibility. It is thus not simply the responsibility of the speaker to ensure intelligibility in a conversation, but part of the onus should also be on the listener to employ appropriate strategies to understand or clarify understanding. Walker clearly adopts such a post-structuralist standpoint, where interactions are seen as dynamic and fluid processes, where the role of the listener and speaker constantly switches, where all interlocutors have the duty of facilitating the success of the communication, where teacher should focus on receptive skills, and not just on productive ones. Unlike many books on pronunciation that tend to focus on helping students of English emulate what is seen as the ‘correct’ native speaker target (usually RP or GA) phonological features, Walker’s book acknowledges the importance of being able to understand both non-native speaker and native speaker accents, providing learners (and teachers alike) with useful listening practice through exposure to the different accents and the good examples of expert ELF usage on the accompanying CD. Walker is probably the first to take on the most common myths and misconceptions about ELF, as he addresses ten of the most common concerns that many might have when confronted with a discussion regarding ELF pronunciation: e.g. that ELF is an impoverished version of native speaker English which condescends the learner by assuming they would never be able to speak ‘proper English’; that without native speaker accents, learners will not have a model; that the expression of one’s identity through variation in one’s accent cannot take place synchronously with the maintenance of mutual intelligibility; that we cannot teach ELF because nobody speaks it; that the majority of students and teachers would rather have an NS accent. As if to also debunk the myth that ELF has no practical and pedagogical implications, Walker engages the practical teacher by suggesting ideas for raising our students’ awareness of ELF and the sociolinguistic facts relevant to the discussion, before providing a list of useful pronunciation activities, some of which we have encountered without an ELF emphasis, such as minimal pairs and drilling, to help learners with features of the Lingua Franca Core like consonant sounds and vowel length. Other familiar task types like the information gap, dictations, and problem-solving tasks are suggested as ways of focusing on training the learners’ accommodation skills and abilities to negotiate meaning. As a practitioner, I found the chapter ‘Techniques and Materials for teaching ELF pronunciation’ to be a good reminder of useful pronunciation activities that can help students with the areas that do hinder them from being understood. Walker does a good job of demonstrating that teaching the pronunciation of English as a lingua franca need not be about re-inventing the wheel, but could merely start with a shift in our attitudes and what we prioritise in the classroom. One example of such a shift is a chapter reminiscent of Michael Swan’s ‘Learner English’, where Walker and his credible co-authors list the pronunciation difficulties of the Lingua Franca Core features based on ten different L1s. This book, however, differs from Swan’s in that it makes use of the learners’ L1s as a departure point rather than a source of L1 interference, clearly demonstrating how we can use the L1 ‘as friend’ that can help learners with difficult LFC features, and not ‘as foe’. 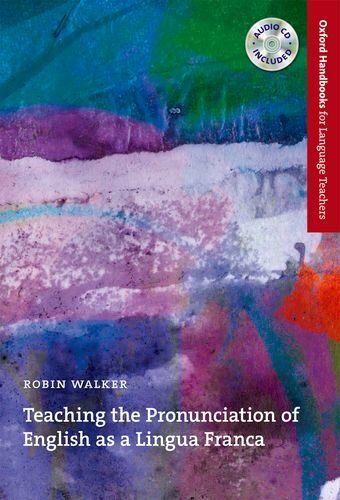 Taking the reader through a detailed exemplification of how an ELF pronunciation programme can be worked into the syllabus, and how it can be assessed, Walker triumphs in writing a book that is also useful for educational managers and education planners. However, most importantly, this is a book that takes ELF discussions away from the academic circles of Sociolinguists, and puts the discussion in the hands of the practitioners, challenging us to rethink our presumptions about how we approach pronunciation issues with out learners in our classrooms. 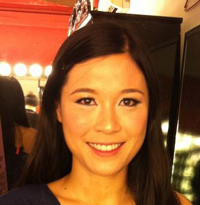 Chia Suan Chong has an MA in Applied Linguistics and runs General English and Business English classes, in addition to teacher training courses, and has been active at conferences speaking about ELF, Dogmas, Systemic Functional Grammar, and Pragmatics. Active on Twitter, Chia loves a good debate and blogs regularly at chiasuanchong.com.